Enjoy playing our piano scores of The Trout (Die Forelle, op.32, D.550), for voice and solo piano composed by Franz Schubert in 1817. 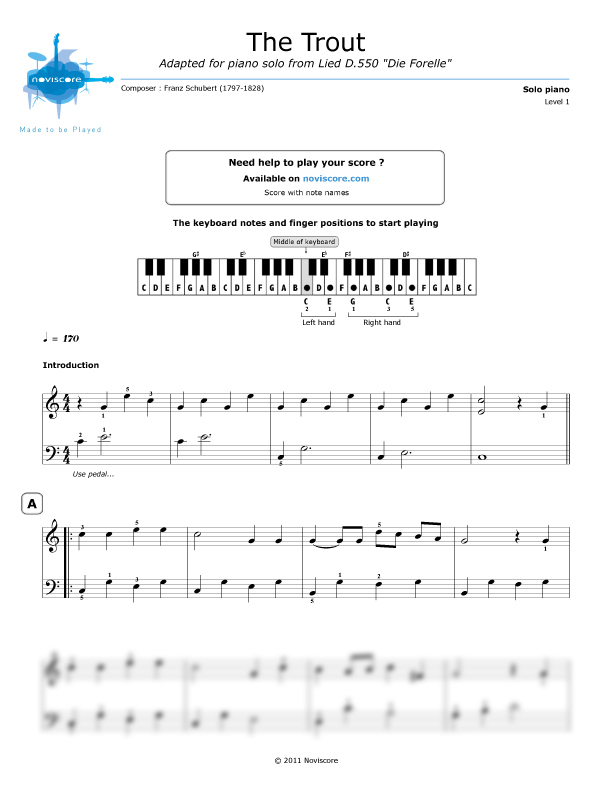 Available in three levels of difficulty, you can choose the score the best suited for you. 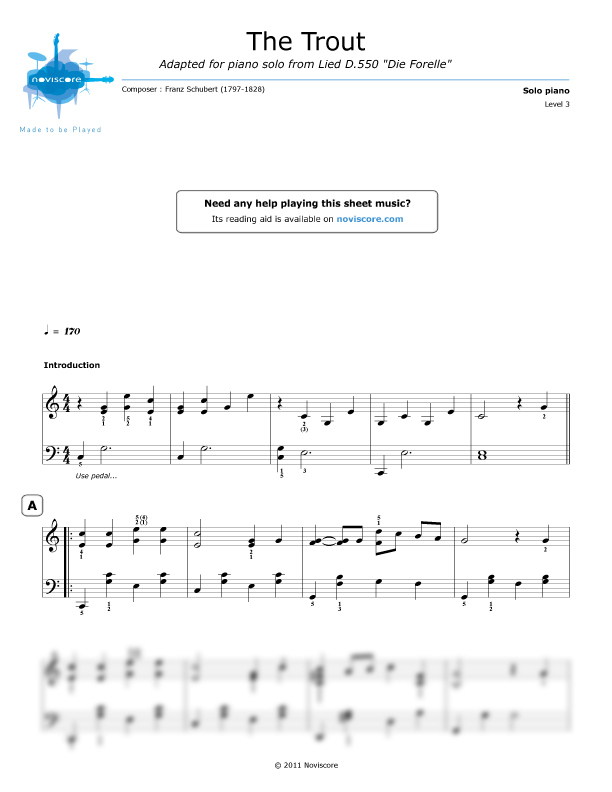 Beginners will even find an easy piano score where the notes have been replaced by their names and which reads a bit like a tablature. 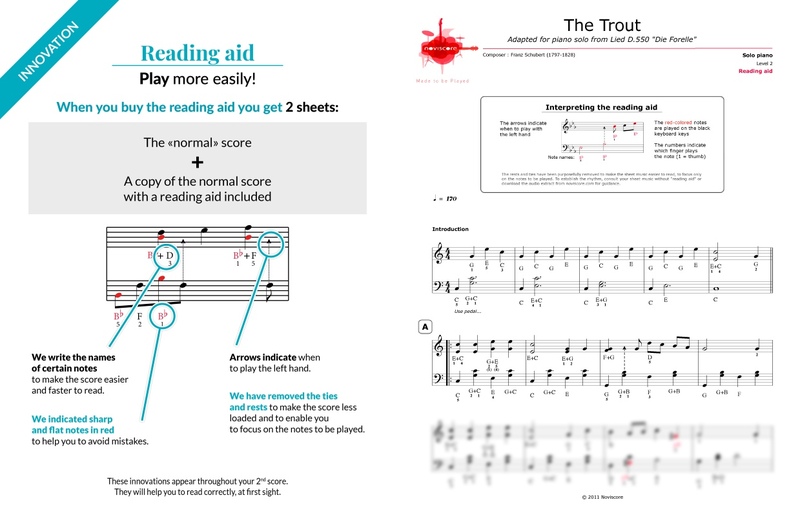 For experienced pianists,reading aids are available to simplify sight-reading if necessary. 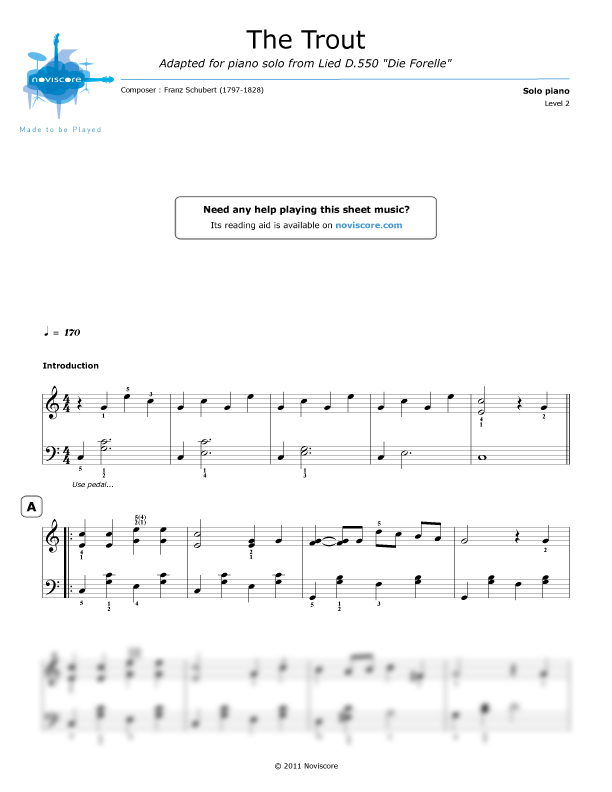 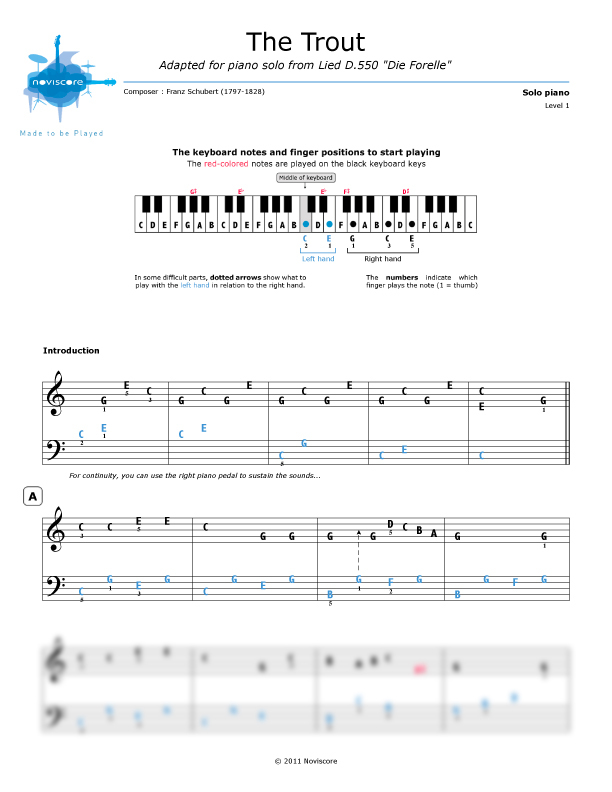 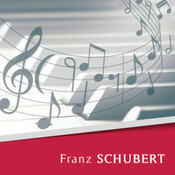 Discover all our Schubert sheet music!